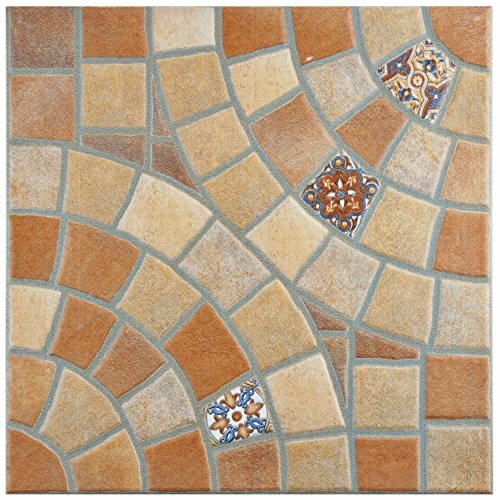 Product prices and availability are accurate as of 2019-04-21 21:27:30 UTC and are subject to change. Any price and availability information displayed on http://www.amazon.com/ at the time of purchase will apply to the purchase of this product. 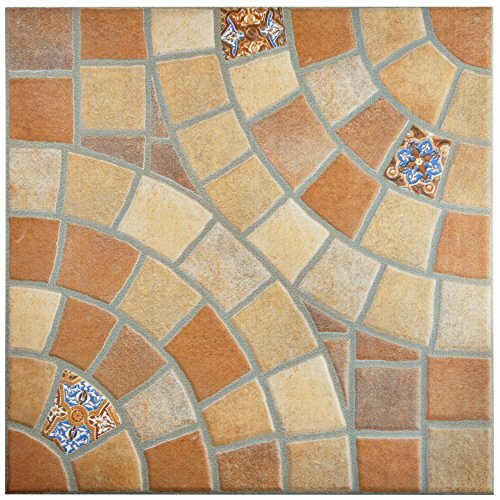 If you are looking to bring European influences into your home, look no further than the SomerTile 13-1/8 in. 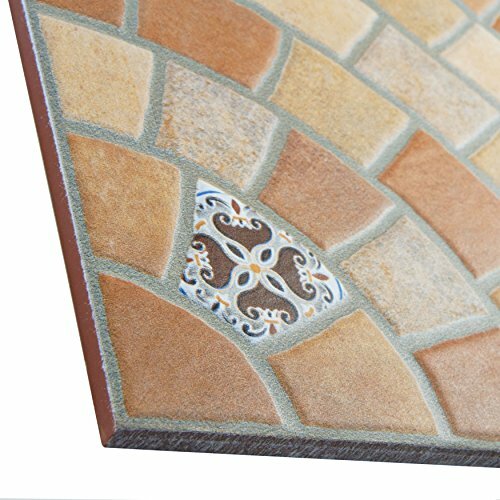 X 13-1/8 in. 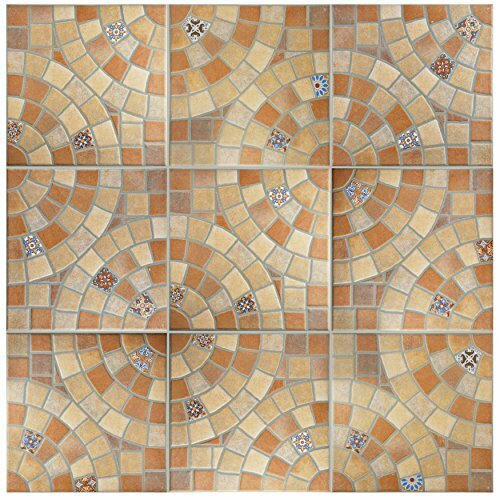 Aranka jet teja ceramic floor and wall tile. 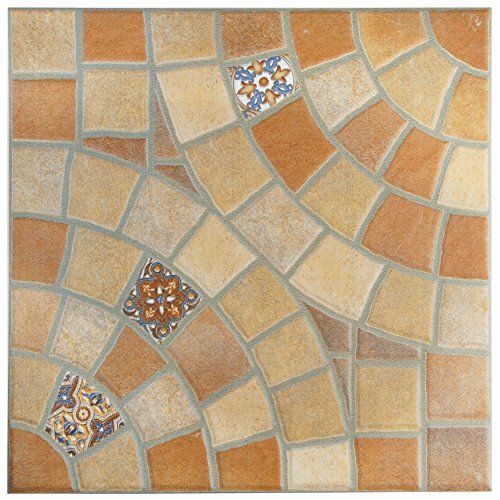 This Spanish tile features a terra cotta colored natural stone look with small hand painted accent tiles. 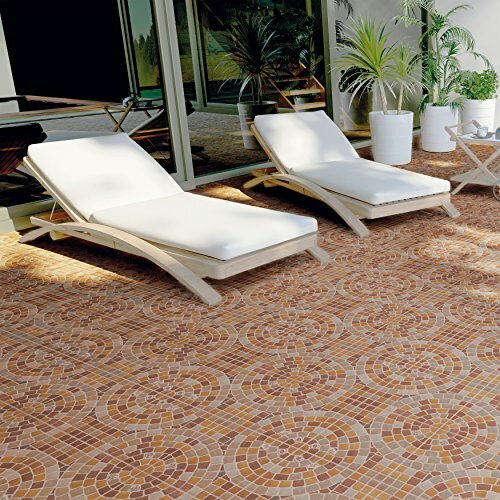 A simple circular pattern and low sheen finish brings a rustic feel to any living space.